Do you crave the lush, verdant hues of emerald? Well, you’re in luck! Coming August 6th, Liquidation Channel is proud to present the return of the Emerald Smackdown! Read on for details on adding this gorgeous green stone to your collection. What is an Emerald Smackdown? Wondering what the hype is about? Smackdowns are a long tradition at Liquidation Channel. The Smackdown format presents 24 (or more!) hours of a selected gemstone at knockout prices! Starting on August 6th, we’ll be showing our Emerald Smackdown, a showcase dedicated to this mossy green beauty. All day long, we’ll present the best and brightest from our vast assortment of emeralds. Stay tuned throughout the day, as we’ll offer incredible deep discounts on selected products. This is in addition to our amazing, every day low prices. This stone owes its rich verdant color to the presence of chromium. Ranks 7.5 to 8 on the Mohs scale. Despite its hardness, this gem is heavily included and can be brittle. Inclusions are expected, and are referred to as ‘jardin.’ They provide a mossy appearance to this stone. The ‘emerald cut’ is the ideal cut for this stone. Read more about emerald at our Education Center. For decades, emerald lovers have debated the merits of this stone from its two leading sources. Emeralds have been known in South American ages before the Spanish conquest. Zambian gems are a more recent discovery, going back to 1940’s. It’s commonly believed that Colombian stones are a warmer, more intense green. Meanwhile, Zambian examples are supposed to be cooler, with bluer hues present within the gem. Truth be told, gems from either location can display these desirable qualities. At the end of the day, your best bet is to tune in and see for yourself! 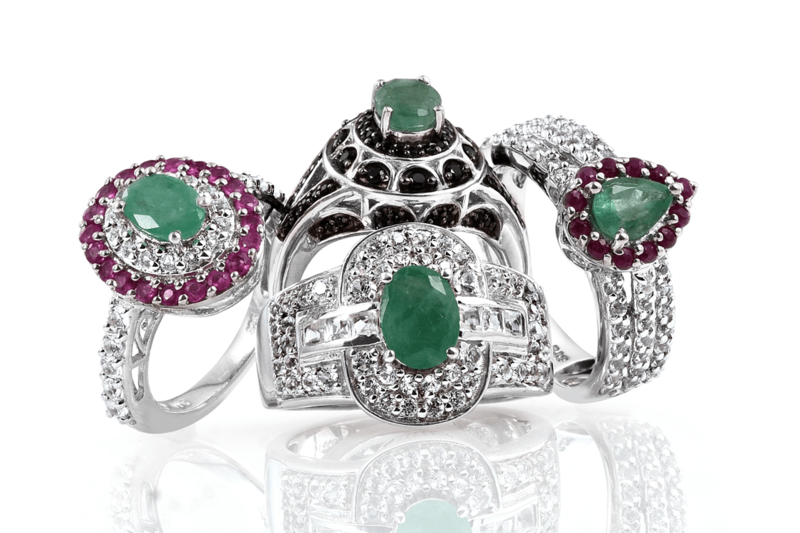 With 24 hours of amazing emerald gems on display, you’re sure to find something you’ll love. With our Low Price Guarantee and 30 Day Money Back Guarantee, you can shop confidently. Why wait? Shop today!